Pro Double Dual Head Stethoscope Doctor & Nurse EMTech. 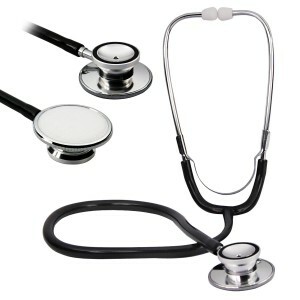 Professional Double Dual Head Stethoscope for Doctors and Nurses, EMT, Medical Health Care , Vet. 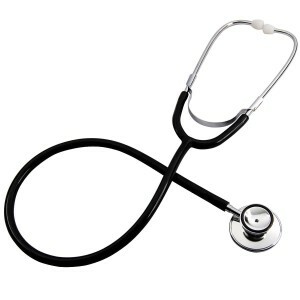 Pro Double Dual Head Stethoscope, Professional Stethoscope for Doctors and Nurses, Emergency Medical Technicians (EMT), Medical Health Care, Veterinary Physicians. Suitable for hospital, school, clinic and home use. Listen various sounds of heart, hung or other organs. Complete with both diaphragm and bell features. Can select the tow head by turning the convertible axis.